Expedia Luang Prabang holiday packages help you save money! Combining your reservations will give you more spending money for your amazing adventure. Receive savings up to 55%* with a package deal on Expedia. With more than 400 airline partners and 321,000 properties worldwide, our expansive database can help get you where you need to be. Not sure about your booking? There are no hidden fees from us when you change almost any reservation. It can be quite pleasant to just wander the streets when you're in a new place, but sometimes it's wise to make a plan. Grab your travel programme — we have some awesome ideas for your Luang Prabang holiday. Cash burning a hole in your pocket? Look for curious treasures and pick up some fantastic bargains at Night Market. Visitors in this destination have heaps of options. Imagine the tales hiding within Royal Palace as you look up at its superb facade. Still have some time to spare? Temples have long captivated pilgrims in search of divine enlightenment in a complex world. Head to the hallowed site of Wat Mai and have your own quiet reflection. A getaway is a great time to relax and unwind. It's also the ideal time to jump into new experiences! For a complete list of activities, check out the Luang Prabang things to do page. 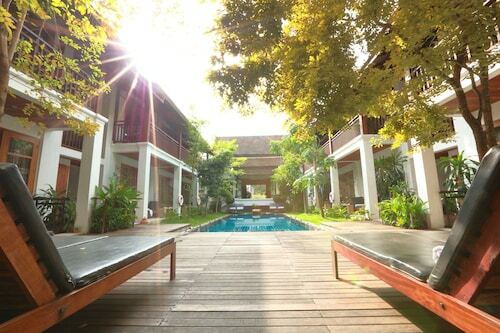 Make your way to Luang Prabang with ease knowing that you have a place to stay. With no less than 107 properties available, booking a soft, comfy bed for your cheap holiday or luxury getaway will be a breeze! If you're the type of person that can't fall asleep unless they're lying on high thread count sheets, why not snuggle down in luxury at the Belmond La Résidence Phou Vao (Phou Vao Road) or The Luang Say Residence (4-5 Ban Phonepheng)? 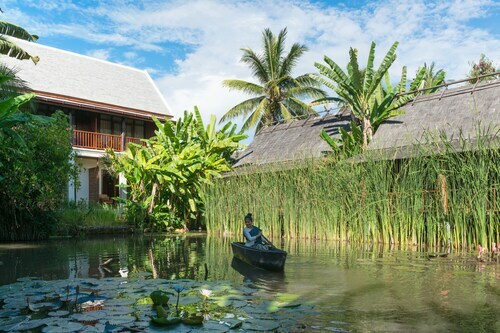 Alternatively, if you're travelling on a shoestring, the Villa Oudomlith (Ban Vatnong) and the Lankham Riverside Hotel (Ban Xieng Mouane, Kheam Khong Street) may better suit your needs. We know the airport won't be the highlight of your getaway, but there's nothing like the thrill of knowing that your well-deserved trip to Luang Prabang is just a plane ride away! Once you touchdown at Luang Prabang International Airport (LPQ), you'll be 6 miles (10 km) from the middle of town. 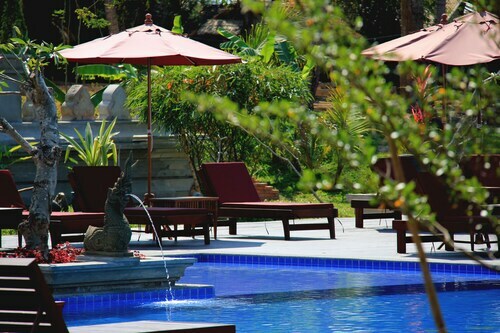 Situated in Luang Prabang, this hotel is within a 10-minute walk of Pha Tad Ke Botanical Garden and Morning Market. Night Market is 0.6 mi (1 km) away. 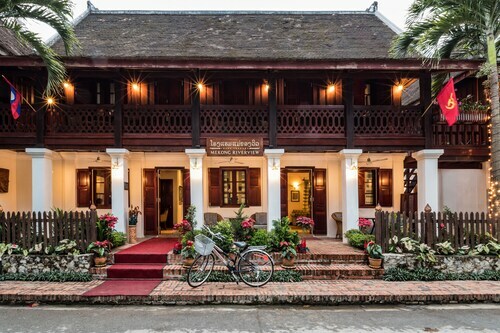 This family-friendly Luang Prabang hotel is located near the airport, within 3 mi (5 km) of Pha Tad Ke Botanical Garden, Morning Market and Night Market. Wat Manorom and Traditional Arts and Ethnology Centre are also within 3 miles (5 km). 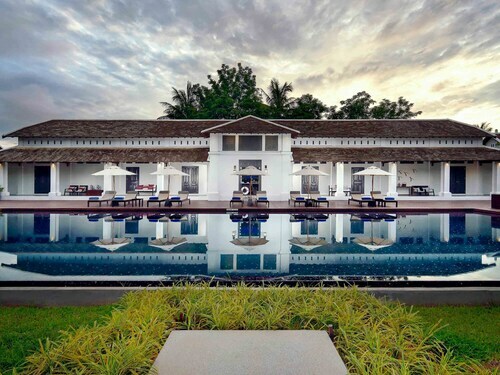 This family-friendly Luang Prabang hotel is located near the airport, within 1 mi (2 km) of Morning Market, Royal Palace Museum and Night Market. Mount Phu Si and Wat Xieng Thong are also within 2 mi (3 km). Situated in Luang Prabang, this hotel is within a 15-minute walk of Vat Visounnarath and Night Market. Morning Market is 0.8 mi (1.3 km) away. Situated in the historical district, this spa hotel is within a 15-minute walk of Heritage House and Night Market. Morning Market is 0.9 mi (1.4 km) away. 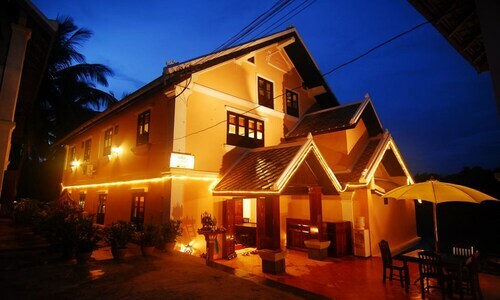 Situated in Luang Prabang, this boutique hotel is within 1 mile (2 km) of Wat Manorom, Morning Market and Night Market. Vat Visounnarath and Pha Tad Ke Botanical Garden are also within 15 minutes. Situated in the mountains, this luxury resort is within 3 miles (5 km) of Pha Tad Ke Botanical Garden, Morning Market and Night Market. Wat Manorom and Traditional Arts and Ethnology Centre are also within 3 miles (5 km). Situated in Luang Prabang, this luxury hotel is within a 10-minute walk of Pha Tad Ke Botanical Garden, Morning Market, and Night Market. Wat Mai and Traditional Arts and Ethnology Centre are also within 10 minutes. Kuala Lumpur Intl. - Luang Prabang Intl.